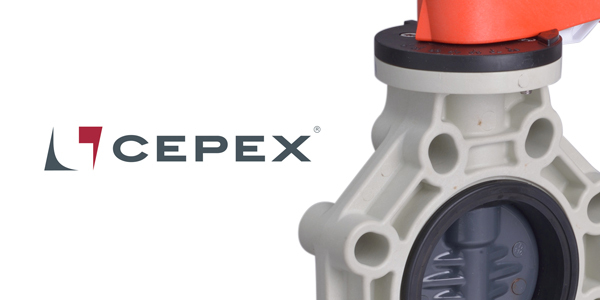 Cepex, is one of the leading European manufacturers of plastic valves and fittings. Established more than 25 years ago and committed to customer satisfaction, Cepex invest heavily in research and development, offering solutions that industries demand; using the latest technology to supply high quality, reliable products. When looking for a plastic valve manufacturer, the technical team at Valves Online needed to ensure that products would meet the needs of our customers; from a supply source that could demonstrate an industry led approach. Cepex manufacture PVC valves in their start of the art facility in Europe and are independently assessed to ISO9001 for quality procedures and ISO14001 for environmental impact. Their range includes plastic fittings, ball valves, butterfly valves, check valves and diaphragm valves for industries that include: water treatment, irrigation and industrial use. Now available at Valves Online we supply the Cepex range of valves and solutions to the UK industrial markets, offering from stock ball, butterfly and diaphragm packages in either manual or actuated assemblies. Matthew Hewett, technical sales manager at Valves Online goes on to explain how our Industrial PVC Butterfly Valveshave changed the game for one customer! Bi-directional tight shutoff with no leakage. The technical team at Valves Online identified it as the ideal solution for the Cepex range of industrial butterfly valves. 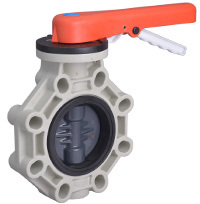 The Industrial Butterfly Valveis an effective butterfly valve with plastic construction (Polypropylene body and PVC-U disc) that is fully resistant to the effects of a marine environment with saltwater as a medium. The EPDM liner offers superior sealing capabilities and isolates the media from any components, other than the liner and the disc. Modular in style the valve is supplied as standard with a Polypropylene handle and notch plate and can easily be adapted using the PP-GR mounting bracket to either gearbox operated or actuated assemblies. 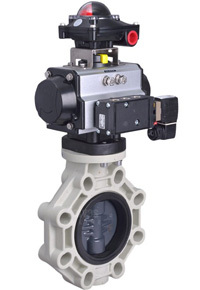 We proposed final assemblies that would include valves sized from 2” up to 8” with manual lever operated units. We also recommend double acting and spring return pneumatically actuated packages, complete with pilot solenoids and limit switch position feedback. Everything was supplied on a 2-3 day build time, fully assembled and tested! Although rarely required using an established manufacturer with continuity of supply meant that they were readily available, in addition to the manuals for ongoing maintenance of the valves. Since installation, the valves have lasted approximately four times as long as the previous units, representing true return on investment, reduced downtime and fewer operational issues. The customer is now in the staged process of removing traditional metal bodied valves from the rest of the plant and replacing them with our Industrial Plastic Butterfly valves. To discuss your requirements and how we might be able to solve your process problems contact the Valves Online technical team by email sales@valvesonline.co.uk or call us on 01822 855 600. To see our full range of plastic products including valves, fittings and actuated packages visit PVC Select.